Enriched With Miracle-Gro Plant Food, Feeds Instantly & Continuously For Quick Root Development & Sturdy Growth. 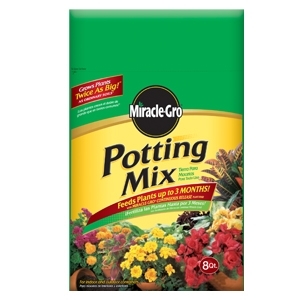 Blend of rich organic ingredients with Miracle-gro continuous release plant food that feeds plants up to 3 months. Convenient and easy. Contains all the necessary ingredients container plants need to thrive and flourish. Ideal for all indoor and outdoor use.